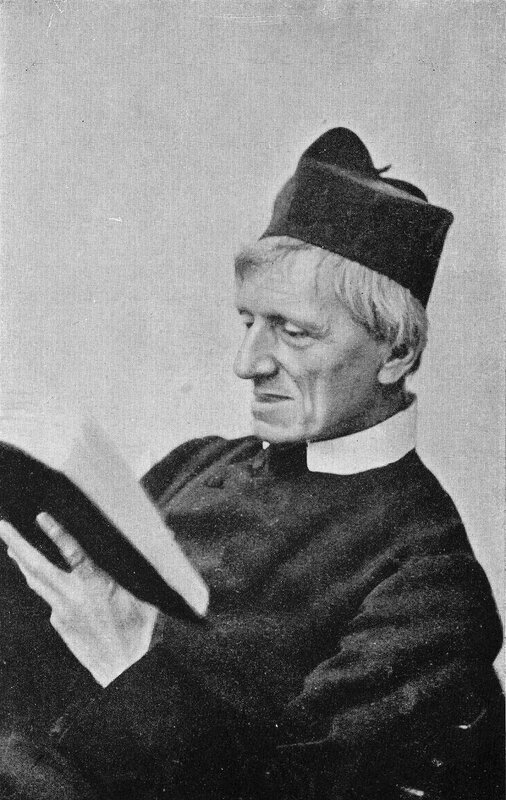 Today is the feast-day of Blessed John Henry Newman. There is no Norbertine connexion, of course, but it is fitting to mark the occasion this year, since the frater junior has just started his studies, now that his noviciate is completed, in Oxford. While he is studying at the Blackfriars Studium, he will be living at the Oratorians, the same congregation, of course, of today’s beatus. Three of our brethren were present at the beatification of the goodly cardinal in 2010 during Pope Benedict’s state visit to the UK (Brother Stephen, and the two juniors, who had not joined the Order by then). Last night, I joined some of the Oratory’s parishioners on their annual “Newman Progress” from the Oratory to Littlemore, where Newman was received into the Catholic Church. On the way, were many stations where we marked various different points in the life of the Cardinal. We ended our progress with benediction and veneration of the relic in Littlemore. Newman’s feast day was chosen as this day, because this is the anniversary of his reception into the Church: the route we followed was almost the same (and on the same Wednesday night, though, this year, it was a dry night!) as the route taken by Blessed Dominic Barberi from Oxford to Littlemore, in order to perform the necessary rites.